With Ultimate Maps Plugin your map never will be looks boring and insipid. If you want a unique design we have all the tools to do it. Every Map engine comes with their own themes! Pick a style of the map according to your taste and website design and Ultimate Maps plugin will do the rest. The plugin includes different custom themes, marker icon libraries and an option to upload your own custom icon. Variations of types giving you good choice to select the most fitting one. 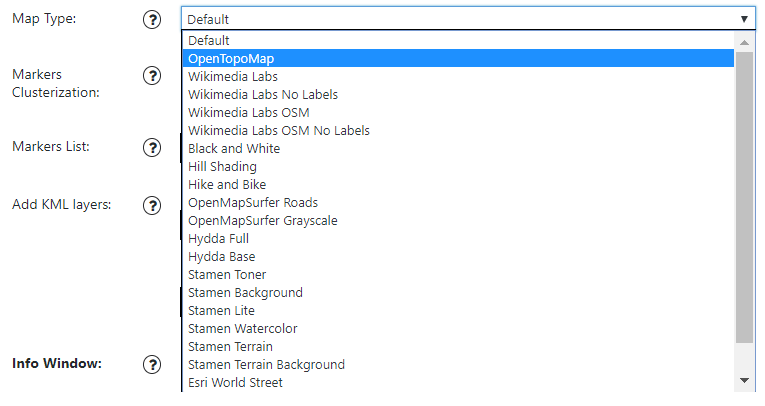 To create markers with different visual effects on the map, you can use marker icon libraries and choose one of the examples that already exist. But if you need something special, you are free to upload and to add any your own icon! Look at the example of Map Stylization with different themes and short instruction for the settings.